Draft: 2004, Colorado Rockies, 8th rd. David Ortiz out on a sacrifice fly to center fielder Brett Gardner. Jonny Gomes scores. Dustin Pedroia to 3rd. Xander Bogaerts homers (1) on a fly ball to left center field. Jackie Bradley Jr. scores. March 12, 2017 RHP Jim Miller assigned to Minnesota Twins. January 6, 2017 Minnesota Twins signed free agent RHP Jim Miller to a minor league contract. January 6, 2017 RHP Jim Miller assigned to Rochester Red Wings. October 20, 2016 RHP Jim Miller assigned to Toros del Este. May 17, 2016 Colorado Springs Sky Sox released RHP Jim Miller. May 15, 2016 RHP Jim Miller assigned to Colorado Springs Sky Sox from Helena Brewers. May 10, 2016 RHP Jim Miller assigned to Helena Brewers from Colorado Springs Sky Sox. March 2, 2016 RHP Jim Miller assigned to Milwaukee Brewers. November 29, 2015 RHP Jim Miller assigned to Colorado Springs Sky Sox. November 18, 2015 Milwaukee Brewers signed free agent RHP Jim Miller to a minor league contract. November 18, 2015 RHP Jim Miller assigned to Tiburones de La Guaira. November 6, 2015 RHP Jim Miller elected free agency. September 8, 2015 Durham Bulls activated RHP Jim Miller from the temporarily inactive list. September 4, 2015 Durham Bulls placed RHP Jim Miller on the temporarily inactive list. May 23, 2015 RHP Jim Miller assigned to Durham Bulls from Hudson Valley Renegades. May 20, 2015 RHP Jim Miller assigned to Hudson Valley Renegades from Durham Bulls. 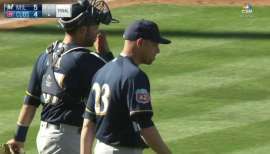 April 6, 2015 RHP Jim Miller assigned to Durham Bulls from Montgomery Biscuits. March 15, 2015 RHP Jim Miller assigned to Tampa Bay Rays. March 8, 2015 RHP Jim Miller assigned to Montgomery Biscuits. March 5, 2015 Tampa Bay Rays signed free agent RHP Jim Miller to a minor league contract. August 23, 2014 Scranton/Wilkes-Barre RailRiders released RHP Jim Miller. July 13, 2014 New York Yankees sent RHP Jim Miller outright to Scranton/Wilkes-Barre RailRiders. July 11, 2014 New York Yankees designated RHP Jim Miller for assignment. July 1, 2014 New York Yankees selected the contract of RHP Jim Miller from Scranton/Wilkes-Barre RailRiders. January 22, 2014 RHP Jim Miller assigned to Scranton/Wilkes-Barre RailRiders. November 11, 2013 New York Yankees signed free agent RHP Jim Miller to a minor league contract and invited him to spring training. October 1, 2013 RHP Jim Miller elected free agency. September 14, 2013 New York Yankees sent RHP Jim Miller outright to Scranton/Wilkes-Barre RailRiders. September 11, 2013 New York Yankees designated Jim Miller for assignment. September 7, 2013 New York Yankees selected the contract of RHP Jim Miller from Scranton/Wilkes-Barre RailRiders. January 31, 2013 Jim Miller assigned to New York Yankees. December 21, 2012 New York Yankees sent Jim Miller outright to Scranton/Wilkes-Barre Yankees. 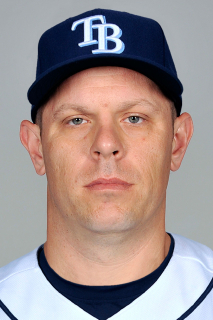 December 19, 2012 New York Yankees designated Jim Miller for assignment. November 30, 2012 New York Yankees claimed RHP Jim Miller off waivers from Oakland Athletics. November 20, 2012 Oakland Athletics designated Jim Miller for assignment. October 12, 2012 Oakland Athletics activated RHP Jim Miller. September 4, 2012 Oakland Athletics recalled Jim Miller from Stockton Ports. August 31, 2012 Oakland Athletics optioned Jim Miller to Stockton Ports. August 24, 2012 Oakland Athletics recalled Jim Miller from Sacramento River Cats. August 3, 2012 Oakland Athletics optioned Jim Miller to Sacramento River Cats. July 16, 2012 Jim Miller roster status changed by Oakland Athletics. May 20, 2012 Oakland Athletics recalled Jim Miller from Sacramento River Cats. May 11, 2012 Oakland Athletics optioned Jim Miller to Sacramento River Cats. April 25, 2012 Oakland Athletics selected the contract of Jim Miller from Sacramento River Cats. March 30, 2012 Jim Miller assigned to Sacramento River Cats. November 11, 2011 Oakland Athletics signed free agent RHP Jim Miller to a minor league contract and invited him to spring training. October 8, 2011 RHP Jim Miller assigned to Colorado Rockies. October 5, 2011 Colorado Rockies sent Jim Miller outright to Colorado Springs Sky Sox. September 6, 2011 Colorado Rockies selected the contract of Jim Miller from Colorado Springs Sky Sox. March 13, 2011 RHP Jim Miller assigned to Colorado Rockies. January 15, 2011 Colorado Springs Sky Sox signed free agent Jim Miller. December 5, 2010 Naranjeros de Hermosillo placed RHP Jim Miller on the 7-day disabled list. November 19, 2010 RHP Jim Miller assigned to Naranjeros de Hermosillo. August 14, 2010 RHP Jim Miller assigned to Frederick Keys from Norfolk Tides. August 5, 2010 Jim Miller assigned to Norfolk Tides from Aberdeen IronBirds. July 17, 2010 Jim Miller assigned to Aberdeen IronBirds from Norfolk Tides. May 24, 2010 Jim Miller assigned to Norfolk Tides from Aberdeen IronBirds. May 18, 2010 Jim Miller assigned to Aberdeen IronBirds from Norfolk Tides. May 15, 2010 Jim Miller assigned to Norfolk Tides from Aberdeen IronBirds. May 8, 2010 Jim Miller assigned to Aberdeen IronBirds from Norfolk Tides. April 15, 2010 Jim Miller assigned to Norfolk Tides from Aberdeen IronBirds. April 13, 2010 Jim Miller assigned to Aberdeen IronBirds from Norfolk Tides. April 2, 2010 RHP Jim Miller assigned to Baltimore Orioles. October 29, 2009 Baltimore Orioles sent Jim Miller outright to Norfolk Tides. October 19, 2009 Jim Miller roster status changed by Baltimore Orioles.